During my conversations with fellow Democrats, the subject of ideological purity v. winning elections occasionally arises. We in California are fortunate to have all statewide constitutional offices, and majorities of both houses of the Legislature and our Congressional delegation safely in the hands of the Democratic Party. Primary election voters of both Democratic and Republican parties often have a tendency to vote for the most ideologically pure candidate. This isn’t necessarily a problem in states or districts where the general election outcome isn’t in doubt; however, in “swing” states or districts, general election voters (including independents) may prefer candidates who reside closer to the center of the ideological spectrum. Some election reforms have been tried in an effort to moderate primary election outcomes. One is the “open” primary, in which any voters may vote in a party’s primary election. Another is the “top-two” primary (sometimes called “jungle” primary), in which candidates from all parties are grouped together on one ballot, and the two candidates receiving the most votes advances to the general election. California is one of three states that uses a top-two primary in partisan elections (the others are Louisiana and Washington; Nebraska uses an open primary for its officially non-partisan legislative races). The idea behind “open” and “top-two” primary elections was that if all voters, not just those registered with a particular party, could vote for any party’s candidates, it would result in more moderate candidates advancing to the general election. Whether this is the case remains a subject of intense research and discussion among political scientists. In recent special elections, those Democratic candidates who managed to get elected in traditionally Republican states or districts held positions that hewed more closely to their electorate’s beliefs than Democratic candidates one might find in a Democratic stronghold. In California, we have an opportunity to “flip” a number of Congressional seats from “red” to “blue;” two of these are all or partially in San Diego County. Would an ideologically pure candidate or one who is perceived to be more moderate have a better chance of winning such a contest? Some primary voters “sincerely” vote for candidates who adhere to their own personal beliefs; other, “strategic” voters will try to elect the candidate who has the best chance of winning the general election for their party. Which kind of voter are you? Recently, while viewing on Netflix Robert Reich’s documentary based on his book, Saving Capitalism, I noticed he mentioned the “Powell Memo.” I went to the “library” and looked up the Powell Memo in my favorite reference source, Google. Two months before President Nixon nominated him in 1971 as justice on the U.S. Supreme Court, Lewis Powell was a corporate lawyer and member of the boards of 11 corporations. He also wrote a memo to his friend, Eugene Sydnor, Jr, a director of the U.S. Chamber of Commerce. It was a sort of “corporations of the world, unite!” manifesto. What became known as the Powell Memo was confidential and didn’t become available to the public until long after his confirmation to our highest court. It eventually was leaked to syndicated columnist Jack Anderson, who unsurprisingly questioned Powell’s objectivity on the Court. The Powell Memo is often cited as having led to the era of increased political activity by corporations that lasts to this day. Some have credited it with influencing the creation of several conservative, pro-business think tanks and institutes such as the Heritage Foundation, Cato Institute and Manhattan Institute. These organizations were created, in large part, to counter the growing environmental and consumer movements, as well as a perceived anti-business atmosphere on our college campuses. It is not difficult to understand how they hit pay dirt with the election of Ronald Reagan and his less-government philosophy. These institutions pursue a long-term strategy, focused on education, shifting values and movement-building. For those who are familiar with the Powell Memo and the organizations it has inspired, the recently-passed Republican tax “reform” bill should be no surprise. Rather, it is a culmination of their work since the last major tax reform was enacted in 1986. This latest tax bill doesn’t pretend to address the interests of the average voter–even the average Trump voter. Rather, it is a total sellout to the Republican donor class and provides $1.5 trillion of relief to corporations and their wealthy owners, at the expense of our children and grandchildren. Not a bad return on an investment of a few hundred million dollars over four decades. Kakistocracy is a term that was first used during the 17th century. Derived from the Greek, the word means, literally, government by the worst and most unscrupulous among us. By extension, such a regime would be run by the most inept and least qualified people available. This word faded into virtual oblivion over a century ago. I consider myself to be well-informed, though I must admit I had neither read nor heard that term. The election of President Trump changed all that. Not only does the term “kakistocracy” fit perfectly the regime headed by him; it also applies to most of his appointees. Just look at the Trump cabinet members and White House staffers who’ve been caught spending taxpayer dollars to charter jets to fly to places where cheap commercial service was available. So far, only serial offender Health and Human Services Secretary Tom Price was forced to resign; others remain in office. The President seems not only to have chosen the least qualified individual for each Cabinet position (the generals may be an exception); he has chosen individuals who don’t believe in the mission of the departments they head. They share a singular agenda: destroy all of President Obama’s accomplishments, including those, such as the Affordable Care Act, that directly benefit Trump’s core supporters. I thought I’d share a little about my background as this is my first message as club president. I was born in Switzerland to my Dutch mother and American father of Irish descent. We came to America in 1949 (I was six months old); my mother overstayed her visa and wasn’t able to gain permanent resident status for nine years, during whichshe endured numerous deportation hearings and even surveillance by INS agents. It is not necessary to ask what I think about Trump’s immigration policy. I grew up in East San Diego and Spring Valley, served in the U.S. Air Force and graduated from San Diego State University. I financed my education with VA benefits and employment in construction as a union ironworker, during which time I became politically active. After completing my MBA, I got married and changed careers, entering the mortgage banking industry, working for large and small firms including one I co-owned for 20 years until I retired. My wife Joan (Coronado High ’71) and I are blessed with four children, all married and living in the San Diego area, and six grandchildren. We look forward to celebrating our 40th anniversary in May. Thank you, fortunate to meet some wonderful, thought provoking people who have enriched my life. I intend to still be a part of the club and look forward to sharing more good times with all of you. 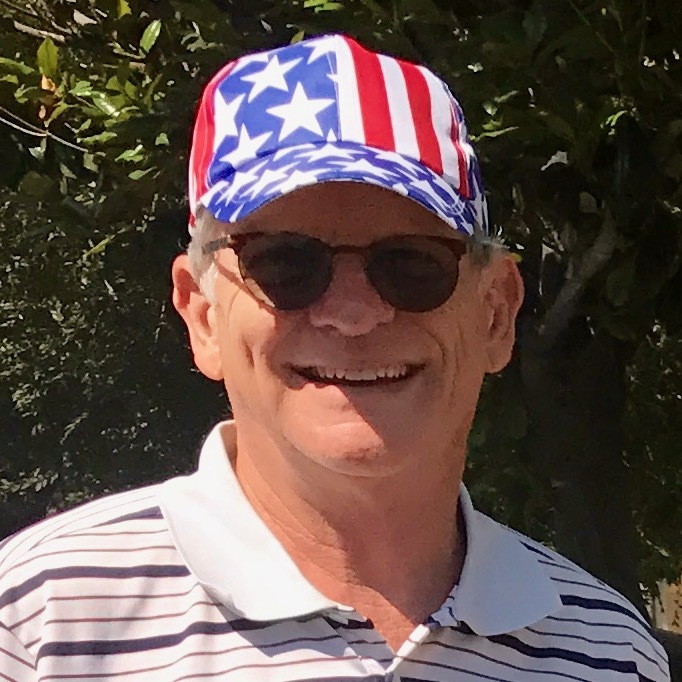 Elsewhere in this newsletter you will see an article about Frank King, our Vice-President becoming President and Tom Bernitt assuming the Vice-Presidency. For personal reasons, I am resigning as President of the club effective at our general meeting on September 16, 2017. Both Frank and Tom will be excellent in carrying out the duties of these offices. I want to thank both of them for assuming these positions. When Mercy and I moved to Coronado in 1999, we were told that if we joined the Democratic Club we would probably double the membership. The perception was that there were very few Democrats in Coronado. In reality Coronado had many Democrats but for some reason they chose to keep a low profile. Fast forward to 2017 and everyone knows there are many, many Democrats in Coronado. In fact one quarter of Coronado’s registered voters are Democrats. Our club has 148 members and we are vocal in our beliefs. We hold regular meetings, which are open to the community. Every year we participate in the July 4th parade. We sponsor debates for the city council and mayoral races as well as educational forums. As most of you know, I have had the honor for many years of serving the club in various capacities. I have been fortunate to meet some wonderful, thought provoking people who have enriched my life. I intend to still be a part of the club and look forward to sharing more good times with all of you. Ever since the election Republicans have told me and my fellow Democrats to “get over it”. Trump was elected President and Democrats should just stop whining. A Republican friend of mine recently wrote in our local newspaper that when a new captain is assigned a ship, the crew does everything to help steer the ship and assist the new captain. That is a nice metaphor. In January 2009 a new captain was sworn into office. I do not recall Republicans working with this new captain. In fact the leading Republican in the Senate publicly announced that his goal was to obstruct him and make him a one-term President. They became the party of NO. Every measure required sixty votes, even those that Republicans had previously supported. During President Obama’s term, the filibuster was used a record number of times. Appointments to agencies and the federal bench were delayed and some never filled. No previous President had ever been treated with such disrespect. Do you recall the attempt to delegitimize President Obama? Rumors were rampant that he was a closet Muslim. And who can forget the assault on his citizenship. Claims were made that President Obama was born not in Hawaii but in Africa. This became known as the Birther Movement. Who was the leader of that movement and pushed it for years? Oh yes, he is now the Groper–In–Chief. Even today more than 40% (that’s 4 out of 10) of registered Republicans believe President Obama was born in Africa. How is that for alternative facts? It’s interesting, my friend who now wants us all to support this new President in the interest of the country did not write one article castigating Republicans for not supporting the new captain elected in 2008. In fact, he was in favor of the tactics of the party of NO. How do we as Democrats react to all of this? I do not think we should adopt the policies of the party of NO. We should not oppose everything just because it’s a Republicans proposal. We should support policies that help the average American and oppose those policies that are designed to benefit the the 1% and hurt the average citizen. My Republican friends insist that our country has the best health care system of all industrialized nations. However, by every metric, that assertion is incorrect. 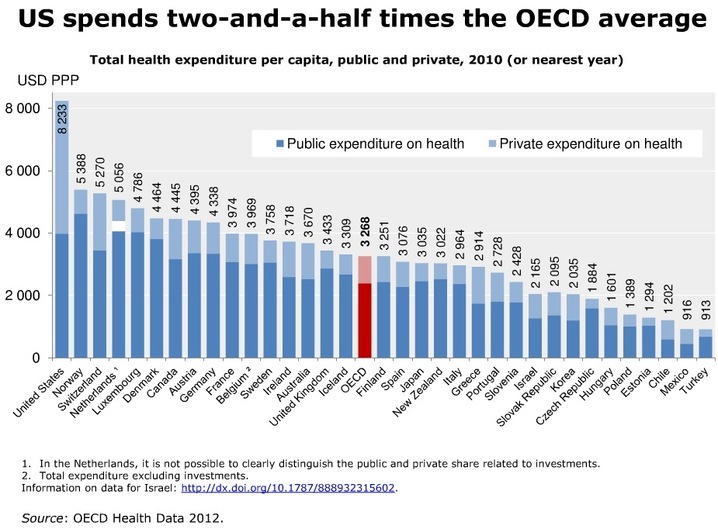 Even though the U.S. is the only country without a publicly financed universal health system, it still spends the most public dollars on health care. Despite having the costliest care, the U.S. ranks last among 11 industrialized countries on healthcare quality and access. Would you believe that with the leading cause of personal bankruptcies, a full 42%, is the result of medical expenses? Another mind-boggling statistic is that 78% of those declaring bankruptcy are people who have health insurance. What does it say about a national healthcare system that forces so many of its citizens to declare bankruptcy? I was amazed to learn that we rank 53rd in life expectancy. How is it possible that people in countries such as Bosnia, Jordan and Ireland live longer than we do? My health provider is the federal government because I am on Medicare. It’s a fine system that works well and is cost effective. At some point in the future our politicians will recognize that a single payer system for health care will not only cover all Americans but will be less expensive. Perhaps then we will live longer and not have to go bankrupt if we get sick. I know everyone, including myself, is consumed with the Presidential election. However, I would like to change the focus to a subject brought up by Bernie Sanders during the primary campaign. The subject is free college tuition. Bernie Sanders has been ridiculed for pushing this issue. It has been called socialistic and unrealistic because of costs. I was born and raised in New York City. In retrospect, I realize I received a wonderful elementary and high school education fully funded by the government. Even more striking, residents of New York City had the opportunity to attend City College of New York for FREE if their grades were high enough and they passed the entrance exam. Growing up I was programmed to maintain good grades so I could qualify for admission to CCNY. I had no plan B. If I was not accepted, I would not have had a college education pure and simple. Luckily, I was accepted and received a wonderful college education. I owe my success to a government-sponsored program. Without the free education I received, I doubt I would have been able to achieve the status I enjoy today. The government’s investment in me and others like me has paid off handsomely. We are law-abiding citizens who have started businesses, pay taxes (unlike a presidential candidate) and contribute positively to society. The New York school system, from the early 1900’s, provided tuition free higher education to thousands of low income students including, future supreme court justice Felix Frankfurter, Jonas Salk, Colin Powell, Bernard Baruch, Daniel Patrick Moynihan and Bella Abzug, just to name a smattering of the students who went on to distinguished careers in science, government, business and the arts. How was it possible to provide tuition free higher education through horrific economic downturns including the great depression of the 1930’s? The answer I believe is priorities. The elected officials felt that investing in education was a worthwhile investment. If the government had the money for tuition free college when this country was less prosperous, it certainly has the funds for this kind of program today, if our elected officials choose to make it a priority. Perhaps investing more in educational programs and a little less in the military will produce a healthier and more robust economy for all our citizens. I recently read an article about a bill introduced in Missouri, which I felt should be shared with our members. A Missouri lawmaker is introducing a bill that would subject gun buyers in the state to the same kind of restrictions that women face if they choose to have an abortion. State Rep. Stacey Newman (D-St. Louis) has prepared a bill that would require buyers to wait 72 hours to make a gun purchase, which they would only be able to do at a store at least 120 miles from their home. Women in Missouri must wait 72 hours before they can get an abortion and the 120-mile restriction is intended to draw attention to the long distances that women must travel to have one. “If the appetite is for more and more reproductive restrictions, then it makes sense to apply those restrictions to gun purchases,” she said. The bill would require gun buyers to undergo an evaluation and receive counseling from a physician about the risks associated with owning a gun. Women in Missouri must sign a consent form 72 hours before an abortion, be given a chance to look at ultrasound of the baby and be informed about potential health hazards of the procedure. Under Newman’s bill, the gun purchaser would be required to tour an emergency trauma center between 10 p.m. and 6 a.m. on a weekend when firearms victims are present and meet with at least two families affected by gun violence as well as two people who have officiated at the funerals of minors who were shot dead. It’s interesting to see how Republican-led states treat gun rights and women’s rights so differently. I think such a bill should be introduced in every state legislature. A unique situation has developed in our State Senate District. Marty Block was elected as our State senator in 2012. Toni Atkins represents our district in the State Assembly. Ms. Atkins is being termed out and earlier this year she established an Atkins for Senate 2020 fund raising committee. Marty Block if re-elected would be termed out in 2020. Several weeks ago, Toni announced she would challenge Marty for the Senate seat in 2016 rather than waiting until 2020. Challenging an incumbent in your party is highly unusual and frowned upon by party leaders. Atkins endorsed Block in his 2012 run and donated to his campaign. The two lawmakers have nearly identical voting records. Both get high marks from core Democratic constituencies such as labor groups, environmentalists and gay rights advocates. Spending money on a fight within the party for a safely held seat would have little appeal in any state, but even less so in California given the election rules enabling the top two vote-getters to advance to the general election regardless of party. That means the Block-Atkins contest could last until November, carrying a high price tag. The money spent on this race means less money available for other more competitive races. Toni Atkins has been an excellent legislator, a good friend of our club and someone I admire greatly. She has the right to run for the Senate in 2016 instead of 2020. However this raises the question: Is this action best for the interest of the Democratic Party or her own best interest? Keep tuned in, as I am sure our club will invite these candidates to a debate and then we can vote to endorse one or the other, or decide not to endorse either candidate.